The New Zealand Mosque attacks shook the world when announced by local police on Sunday, March 17th. There were 50 deaths and 50 injured in these incidents. The attacks were carried out two days earlier by Australian national Brenton Tarrant, who was charged with murder. Two other suspects were apprehended in the immediate aftermath of the incidents, however it turned out that Tarrant was the lone conspirator. New Zealand officials confirmed that he was able to purchased his guns legally, a reflection of the nation’s relaxed gun laws. Not only did these heinous hate crimes reflect the rise of international, right-wing terrorism inspired by white nationalism, but also a damning report on what can happen in a nation that fails to regulate its guns and ammunitions industries. 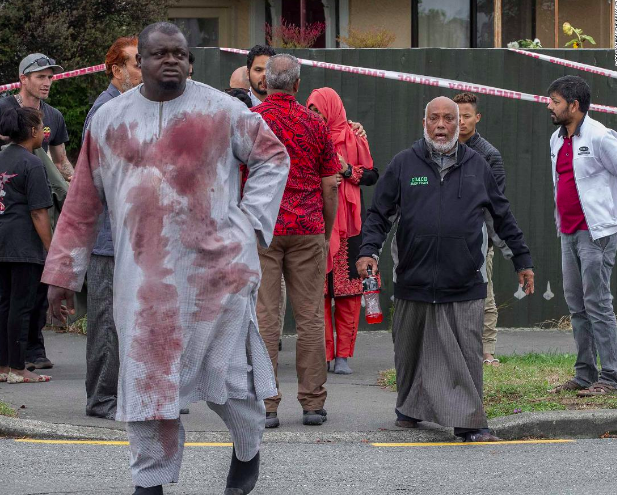 Beginning at around 1:40 P.M., the attacks were carried out against two mosques–Linwood Masjid and Masjid al Noor mosque–in Christchurch. Officials believe that this was planned to happen on a Friday since mosques around the world are usually the busiest at this time. One of the most troubling aspects of this attack is who was targeted: Muslims that are native to New Zealand, as well as immigrants (and in some cases refugees) from Malaysia, Pakistan, Turkey, Lebanon, India, Bangladesh, and numerous other nations. While only making up 1% of the national population, the presence of Islam in New Zealand has grown in recent years. Perhaps in response to this, as well as numerous other factors including a wavering international economy, there has been a growing rise in right-wing terrorism across the world over the last few years. Just last year, a Jewish temple in Pittsburgh was attacked by an American white nationalist, resulting in the deadliest attack on the Jewish community in the United States. In response to these attacks, after one mass shooting in the nation’s history, New Zealand Prime Minister Jacinda Ardern said she would ban assault rifles in the nation. In light of these events, gun law advocates have pointed out that in the United States, there have been 39,773 gun deaths in 2017 due to nonexistent gun control laws at the local, regional and national levels. The U.S. lacks a national registry to keep track of all the guns and ammunitions one individual has in their possession at a given time. In addition, they argue that there are little to no background checks that test for criminal background, mental health issues, or drug abuse, allowing a large array of individuals who should not own guns to be able to do so. They point out that while the effectiveness of the National Rifle Association (NRA) is one reason for such lax regulations, there is also a historical gun culture in the United States based around the belief in the right to bear arms, as outlined in the U.S. Constitution. In addition, many gun law advocates hope that the United States can learn from the leadership of New Zealand in gun control and establishing a fair system to purchase and maintain firearms responsibly.